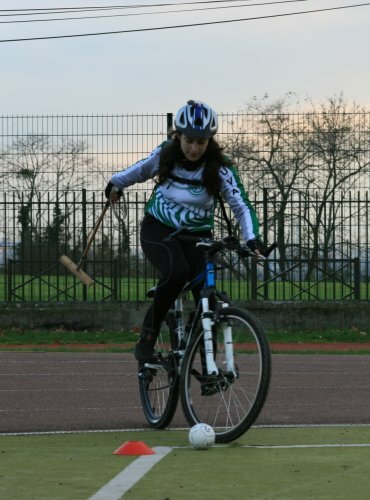 The second edition of the Initiation Bike Polo Challenge of Ile-de-France has been held on three legs by the Argenteuil V.S.C. in Argenteuil on 8 December 2012, by the E.S. 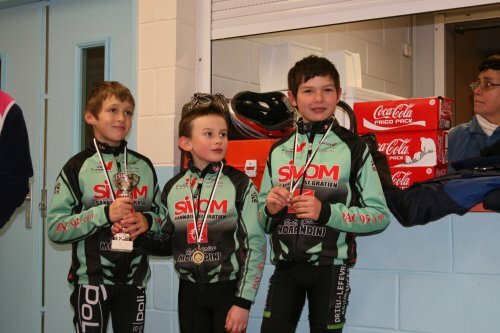 Gervais-Lilas in Bobigny (Seine-St-Denis, France) on 12 January 2013 and by the U.S. Alfortville Cyclisme in Alfortville (Val de Marne, France) on 23 February 2013. The final rank is available here. The Argenteuil V.S.C. 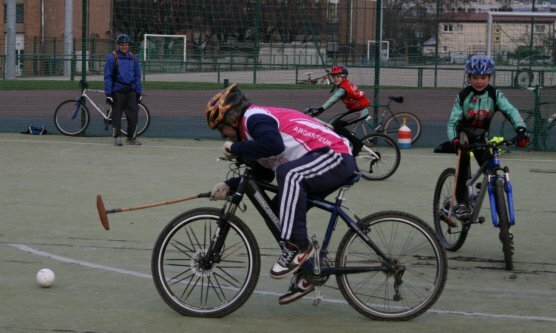 has organized in the Auguste Delaune stadium in Argenteuil the third leg of this new regional challenge dedicated to beginners in bike polo. The cold temperature was not a good reason to cancel this appointment for the 30 players (including a young lady) who played this tournament. 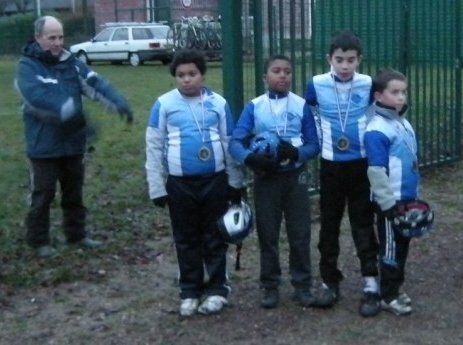 Four clubs were there: the Argenteuil V.S.C. (Val d'Oise), the E.S. Gervais-Lilas (Seine-St-Denis), the Parisis A.C. 95 and the U.V. Argenteuil (Val d'Oise). 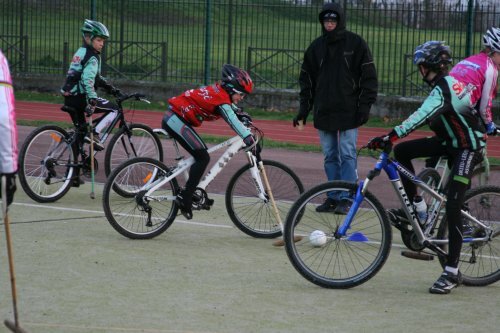 This new challenge has been favorized by the Ile-de-France bike polo commission of the French Cycling Federation. 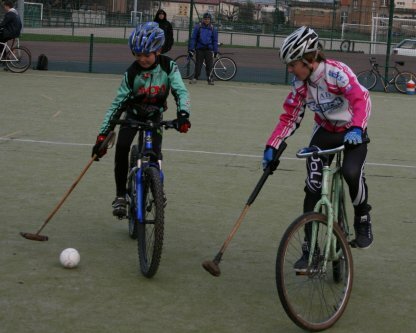 It was open to beginners in bike polo from 13 year old player to adults. 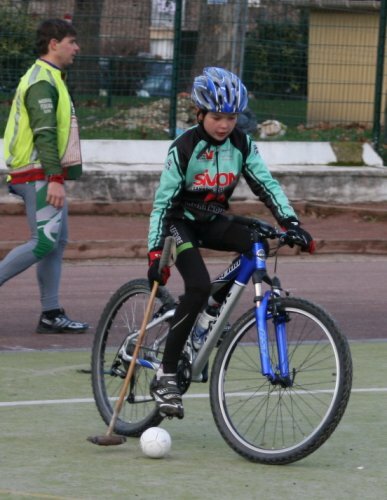 based on the same model than the tournaments dedicated to bike schools in Ile-de-France since 2009, this tournament has begun by pratices on foot, then on bike without ball then on bike with ball. Six teams played in 2 groups: Argenteuil VSC 1, Argenteuil VSC 2, UV Argenteuil 1, UV Argenteuil 2, Parisis and Gervais-Lilas. Players from the E.S. Gervais-Lilas were road and track cyclistsn, not usual bike polo players. The E.S. 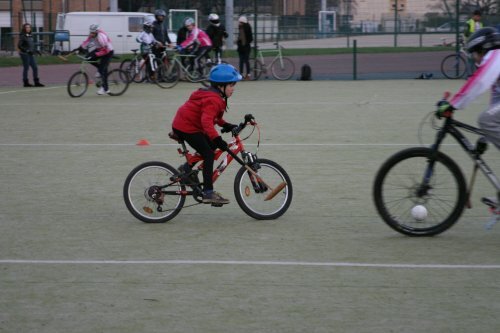 Gervais-Lilas has organized at the stade de la Motte in Bobigny the second leg of this regional challenge dedicated to beginners in bike polo. Since it was still Epiphany's time, Epiphany's pie was available at the bar and the tournament was named, as in 2012, "Kings and Queens Tournament" event though there only kings this time. Four teams went to play: the E.S. 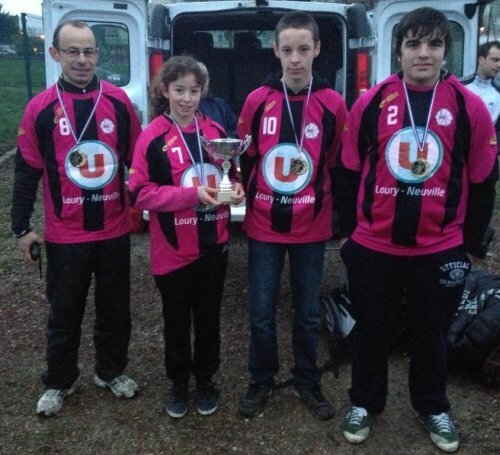 Gervais-Lilas (Seine-St-Denis) with two players from Alfortville, the Rebréchien Loiret Cyclisme (especially arrived from the Loiret district) and the U.S. Alfortville 1 & 2. 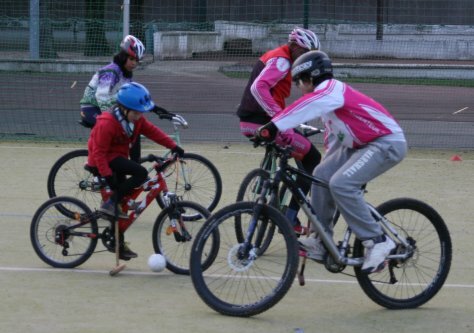 This challenge has been launched in 2011 by the Ile-de-France bike polo commission of the French Cycling Federation. 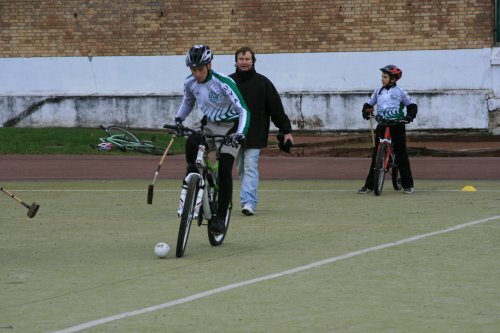 It was open to beginners in bike polo from 10 years old player to adults. 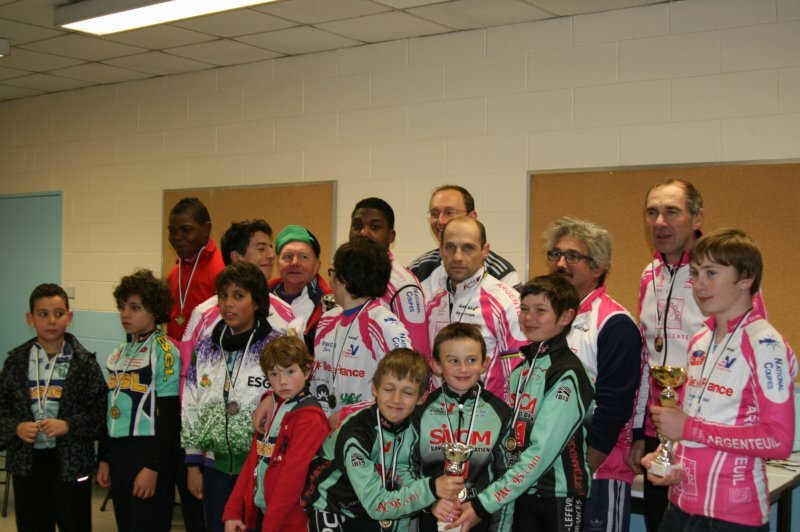 Based on the same model than the tournaments dedicated to bike school (under 14 years old players) in Ile-de-France since 2009, this tournament has begun by short pratices since all players had already played at least one tournament in a recent past. The U.S. Alfortville has organized at the Toulon stadium in Alfortville the third leg of this regional challenge dedicated to beginners in bike polo. Nine teams went to play: the E.S. 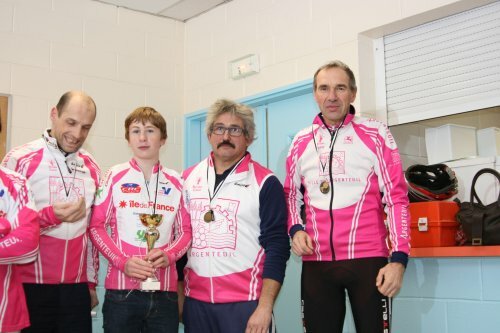 Gervais-Lilas (Seine-St-Denis), the Rebréchien Loiret Cyclisme (especially arrived from the Loiret district), the U.S. Alfortville 1, 2, 3 & 4 (Val de Marne), the U.S. Créteil 1 & 2 (Val de Marne) and a mixed team with 3 players from the C.S.M. Clamart and one form the C.S.M. Puteaux (both clubs from Hauts-de-Seine). 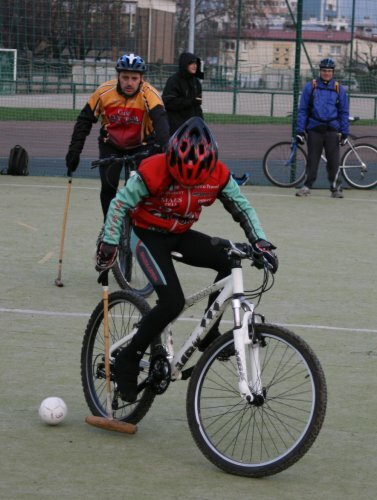 This challenge was open to beginners in bike polo from 10 years old player to adults. 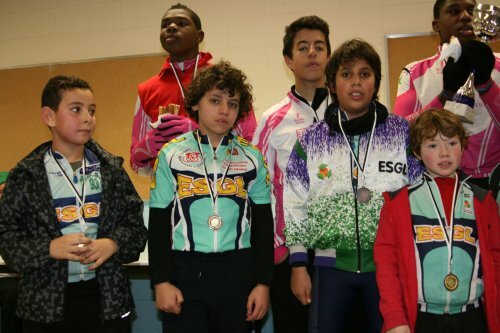 Based on the same model than the tournaments dedicated to bike school (under 14 years old players) in Ile-de-France since 2009, this tournament has begun by short pratices since all players had already played at least one tournament in a recent past.